(Newser) – A suicide bomber carried out an attack early Monday near a US diplomatic site in the western Saudi city of Jiddah, according to the Interior Ministry. The ministry said in a statement the attacker detonated his suicide vest when security guards approached him near the parking lot of a hospital. The attacker died and two security men were wounded with minor injuries, according to the statement published by the state-run Saudi Press Agency, per the AP. An Interior Ministry spokesman says the attacker caught the attention of the security guards, who noticed he was acting suspiciously at an intersection located on the corner of the heavily fortified US consulate. 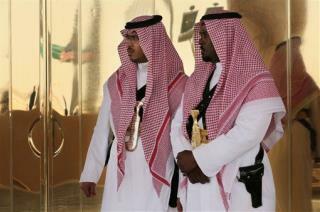 US embassy in Saudi has more protection than the King's palace. The snake that swallowed its tail. Good job Security People. Get well soon.